I was able to get in an upper body workout as well as job 1.25 miles twice. I am determined to reduce my body fat. I lost a little. Got a bit more exercise in and cut my food intake slightly. Progress but slow. Edited 1 time(s). Last edit at 04/15/2019 08:42AM by bazookaman. lost a little as well. bolstering my will power to refuse after meal treats. My 60-year old wife just enrolled in her very first on-stage fitness posing competition, happening in about 2 months, so kicking and screaming I'm going with her to the gym around 4x a week and snivelling and suffering through the benefits of that. She had a head start because she's always tried to stay fit. This pic was part of the impulse to trying this competition. Idiot friends said "you should compete!" This was taken last year, with her 30-year old version to the left. Lost 4 pounds recently thanks to more exercise. Getting out more now that there's some daylight when I get home from work and warmer weekends. Haven't quite shed what I put on over the winter, but making good progress. Up to 5 miles on my evening course and the plan is to do 10 miles on the weekends when it's not raining. 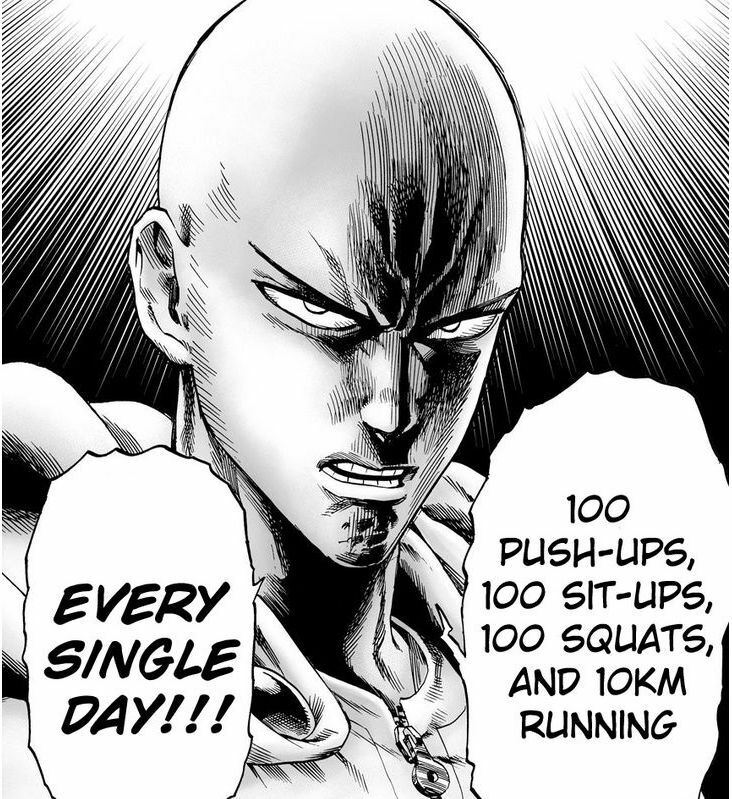 ...Toying with going on the "One Punch Man" exercise regimen this summer. tuqqer: Wow. Best of luck to your wife in the competition! Finally became a non-potato for two days of yard work. I found another Ryobi product to avoid, the 40 V chainsaw. It cuts quick but the battery only lasts 10 to 15 min. of continuous cutting. Also, the chain needs massive amounts of lubrication to keep from failing. I would guess the setting from the factory is about a pint an hour. When I realized how much oil it used, I could only imagine a sheen of oil seeping out of my property during the next heavy rain. Eeew. 13.1 miles. Weight up a pound but still down about 20 for the year. Dude! You can get a sticker for that on your car! 3.6 mi/day for me this week, roughly average. How coincidental, as the reason I'm getting pretty decent mileage on foot is that I've been without a car for 16 months now. Slowly, very slowly, losing the ten pounds i gained over the fall and winter thru illness and sloth. I kept getting asked to dance Saturday night right after a just-completed dance when i thought I might want to rest, but who am I to turn down a lovely woman? To my surprise I was doing better—dancing three in a row several times— than in weeks before. I guess my going up and down the stairs at work is paying off. Down about twenty pounds for the year. Still another 20 to go just to get back to where I was three years ago. Bleah. 31 km running last week. 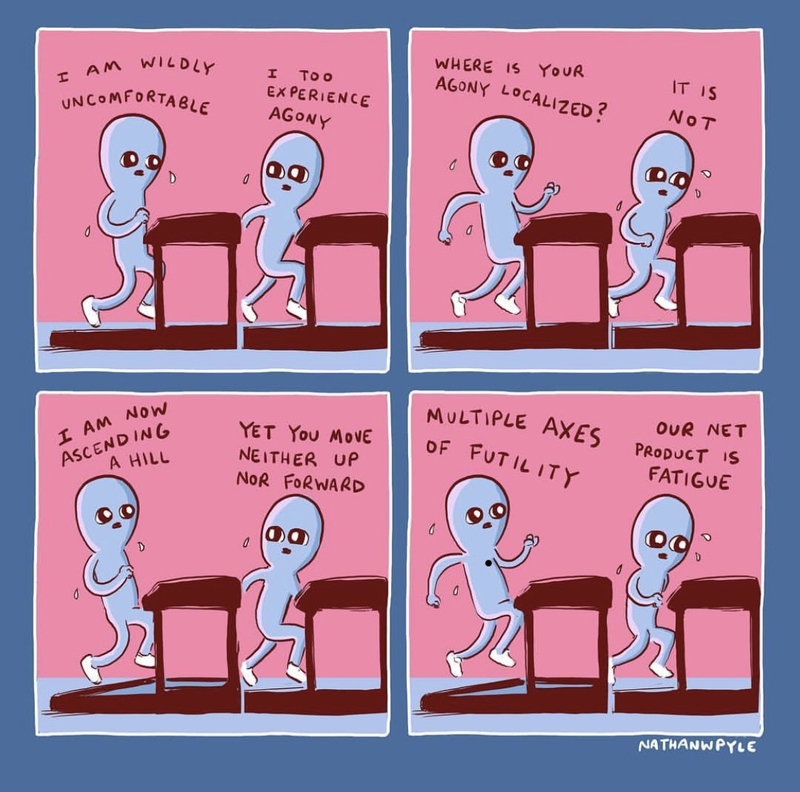 These are very motivating personal stories, all. Just thanks to each of you for posting what you're doing.